ComiPo! is a revolutionary new software application that allows anyone to make high quality comics and manga. Users can easily create their own unique stories and situations simply by choosing and posing one of the 3D characters included! Make your own manga with ComiPo! The next gen manga software! ComiPo! is a revolutionary new software application that allows anyone to make high quality comics and manga. 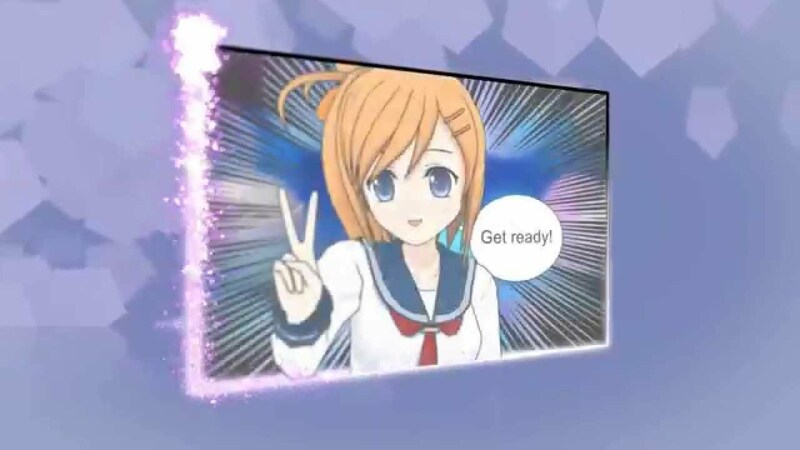 Users can easily create their own unique stories and situations simply by choosing and posing one of the 3D characters included with ComiPo! The program also offers over 100 unique body poses and facial expressions to choose from, along with many background images, items, sound effects, word balloons... Everything needed to make a visually impressive and professional looking comic come to life. Drag and drop a character from the "3D character" menu! Select a pose and face from the templates. There are over 100 poses and faces to choose from! They are categorized by the character's emotions, so it's simple to choose the right expression for any situation! The character model is 3D data, so you can pose the character from any angle just by dragging the red circle. You can import data, such as a picture you took with a camera, and then use it as a background image. You can choose from many different kinds of word balloons and thought balloons. Additionally, you can use icons called Comic Marks. You can show the character's feelings by adding Comic Marks and Sound Effects. There are many Sound Effects in the assets menu. Various Japanese Sound Effects are available too! Drag & drop an Effect Line from the assets menu. You can make a dynamic panel instantly! Effect Lines can be used as balloons to make it look like a monologue is taking place. You can create your own original character easily by selecting items such as hairstyle, clothing, eye color and accessories. Customize your own unique characters and add them to your manga! Manga Maker ComiPo! on Steam is a Steam exclusive version. or Manga Maker ComiPO! (non Steam). The collections will be made available as DLC on Steam shortly. compatible with any version of ComiPO! english, Steam or non Steam. Graphics: VRAM 128 MB or more, Pixel Shader 2.0 or higher.